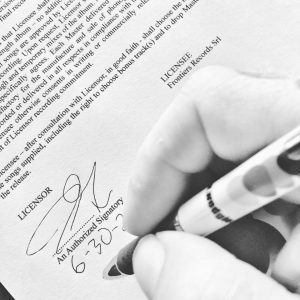 Stranger things have happened in rock n’ roll and it looks like Tracii Guns perhaps could be back in L.A. Guns with Phil Lewis in 2017. The dynamic duo have already scheduled a handful of dates where they will be playing together as a duo. Guns and Lewis are scheduled to play at the Hair Nation Rock Fest in Irvine, California, USA on September 17, 2016 and they are the headliners for the Rock N. Skull pre-party in Joliet, Illinois, USA on October 27, 2016. Guns and Lewis played together in L.A. Guns for many years during two different stints and on the following albums: L.A. Guns (1988), Cocked & Loaded (1989), Hollywood Vampires (1991), Live! Vampires (1992), Vicious Circle (1994), Live: A Night On The Strip (2000), Cocked & Re-Loaded (2000), Man In The Moon (2001) and Waking The Dead (2002). 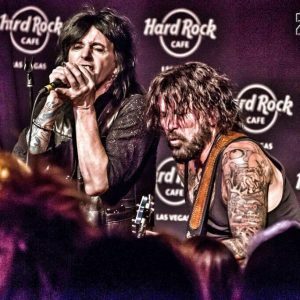 “In his appearance on May 12th’s Another FN Podcast With Izzy Presley, Tracii Guns opened up about everything while not only telling us that there is a Devil City Angels record in the can and they will be shooting a video in June along with Gunzo dates and new music from them in the future, but he also talked about his relationship with Phil Lewis of LA Guns.